Coffee mugs: nothing proliferates more quickly in my kitchen cabinets. People are always handing them out as gifts or as swag, plus I always seem to find a vintage model or two at a garage sale that I'm compelled to buy. I used to do a yearly purge of my excess muggage, but it turns out it's a good idea to hold on to one or two extras. Why would I encourage you to clutter up your house, you ask? Well, there's a good reason. Those coffee mugs aren't just dust collectors—if you know some tricks, they can serve multiple purposes in your kitchen that make life a whole lot easier. 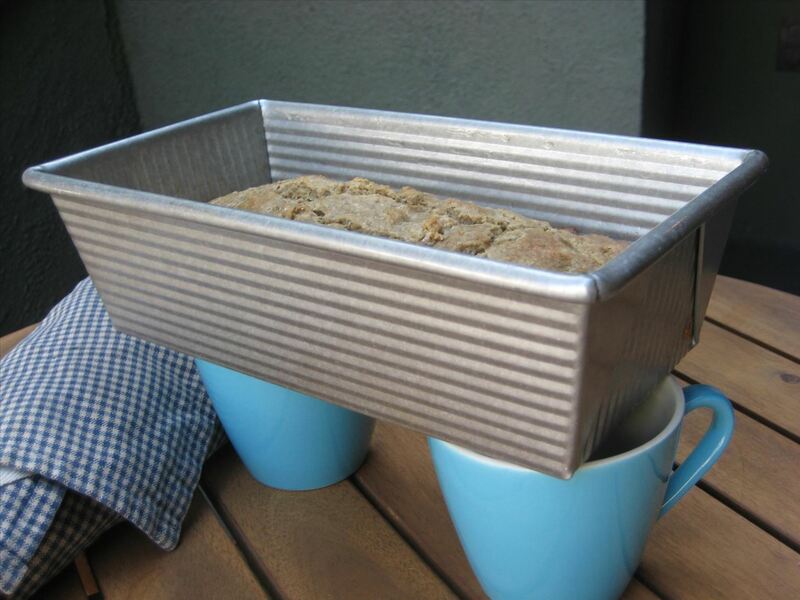 Most recipes recommend putting baked goods like muffins, cookies, and quick breads on an elevated wire rack so they can cool down quickly and evenly, but if you don't have a wire rack, coffee mugs will work just as well. If you want your baked good to cool down even more quickly, you can take it out of the pan and balance it on top of the coffee mugs, too. In that case, make sure they're upside down for stability. Sharp knives are a lot safer to use in the kitchen. Hacking and sawing away with a dull blade means there's a lot more chance for slippage and possible injury. But not everyone has a waterstone handy or time to get to a knife sharpener. Not to worry. You can use a coffee mug to keep your blade honed. You can get more in-depth info here, or watch the video below. Once you've learned how to sharpen knives on the fly, check out this in-depth tutorial by Dustin Courts on how to make your knives hair-splittingly sharp. 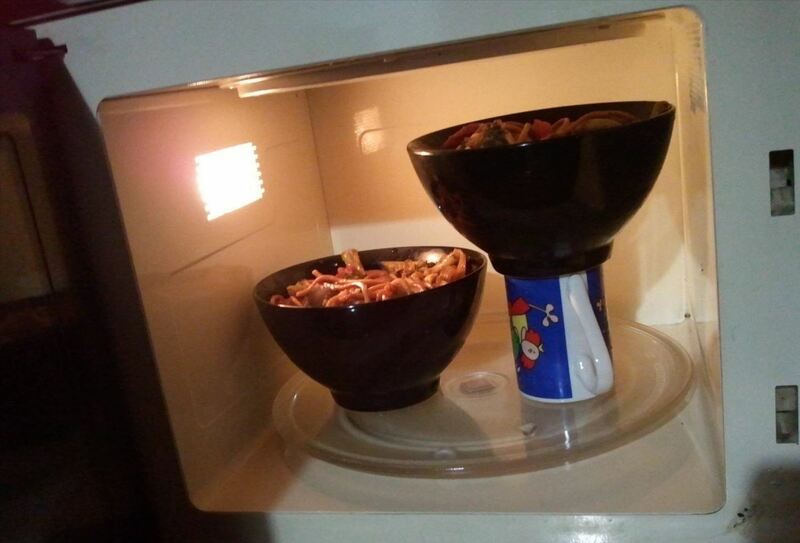 There's a limited amount of space in a microwave, and come lunchtime, the office break room can become a tense place as hangry people line up to heat their food. 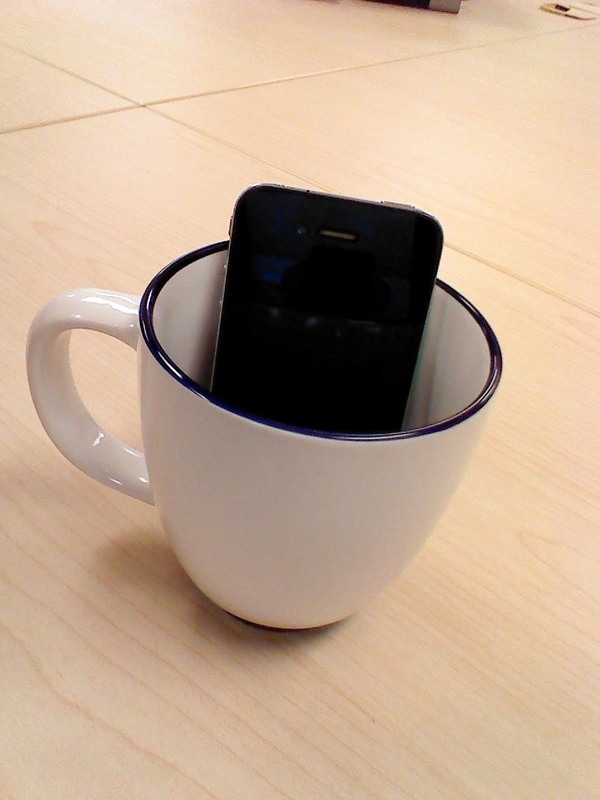 If you've got a sturdy coffee mug, you can create a platform to elevate one dish and shazam! Two people can heat their food at the same time. You can learn more microwave techniques to get better-tasting food here. What if you have someone on speaker and you can't hear him, or you want to play a friend one of your favorite songs? The speakers on many cell phones are pretty dinky. 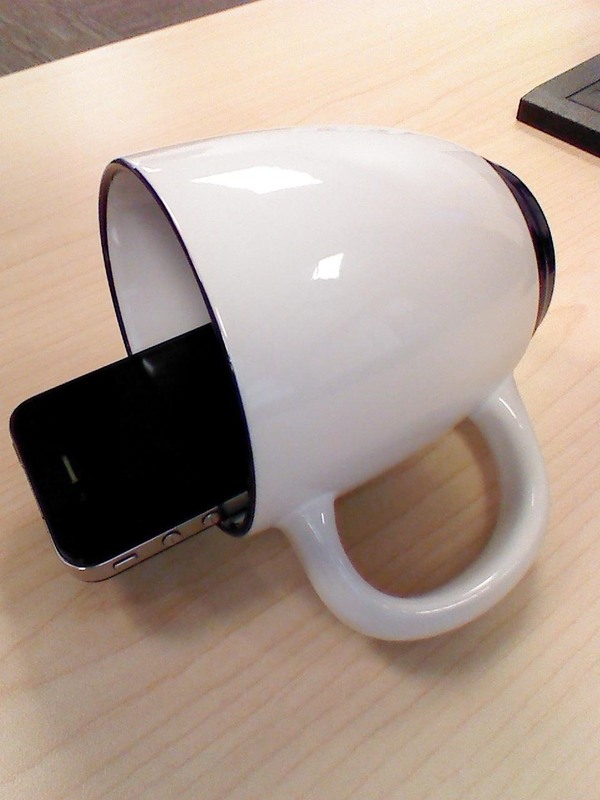 If you've got a coffee mug handy, you can amplify your speaker's reach in one easy move. 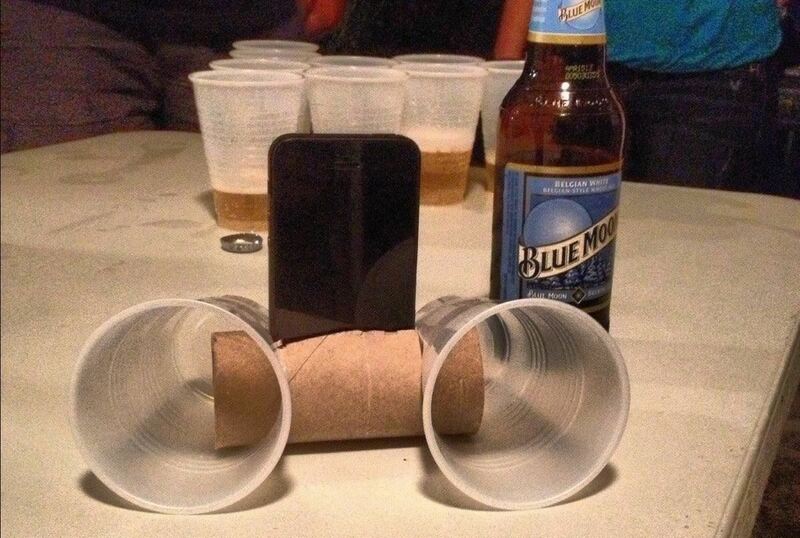 You can even make an amplifier out of a piece of paper and a rolled-up magazine if that's all you have. Learn more about them all here. An oven-safe mug is the perfect container to cook any recipe that calls for custard cups or ramekins. One of my favorite comfort foods is a steamed omelet called gyeran jjim. It's usually made in ramekins that are then set in a bain-marie. The texture is somewhere between scrambled eggs and custard. Now, it's well worth making it the stovetop way, but if you're in a hurry, a coffee mug and a microwave will work just as well. Matching coffee mugs actually are a great substitute for ramekins when making any individual portions of dessert, like pudding. The handle gives something for people to hold onto. What about those nights when you're not cooking for a lot of people and you just want a bite of a homemade dessert? Once again, the coffee mug comes to the rescue. Not only can you mix all of your ingredients in the mug, you can cook it in there, too, saving yourself a lot of mess. Check out Yumi's guide on how to make brownies in a mug. Making poached eggs is a skill one has to practice in order to master, but you know what can help you along the way? Coffee mugs. 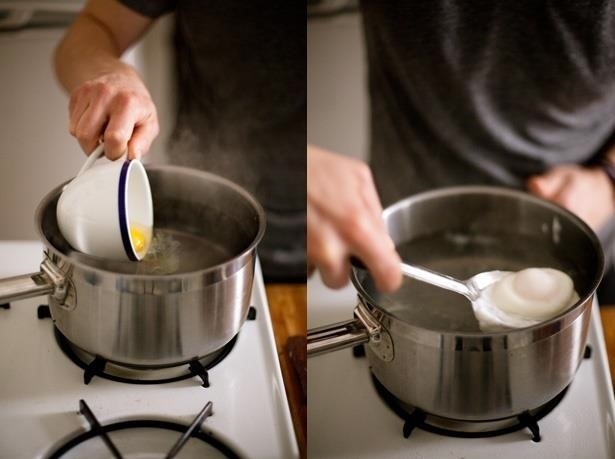 Check out tip #5 in our guide on how to make perfect poached eggs. One of the tricks to getting great poached eggs is to slide the eggs gently into the water. 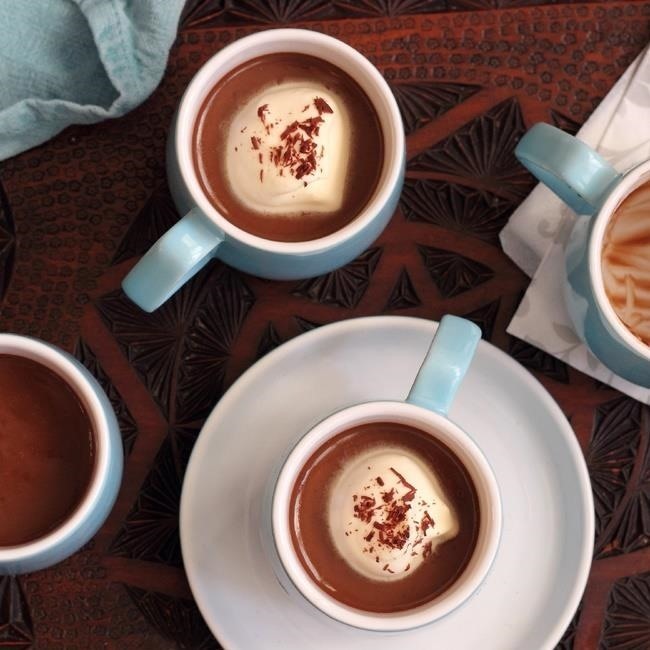 Many cooks will advise you to use a ramekin or small mixing bowl, but I say use a coffee mug. The handles will give you greater control and a stronger grip and are less likely to heat up than a shallow bowl. A coffee mug is actually an office worker's best friend. While it's not ideal to cook eggs in a microwave, if you're hungry and need a quick snack that doesn't come from a vending machine, you can poach an egg in a coffee mug. You can also hardboil an egg in a coffee cup using the microwave, although I wouldn't recommend it (having to clean up the mess if it goes awry sounds pretty gnarly). 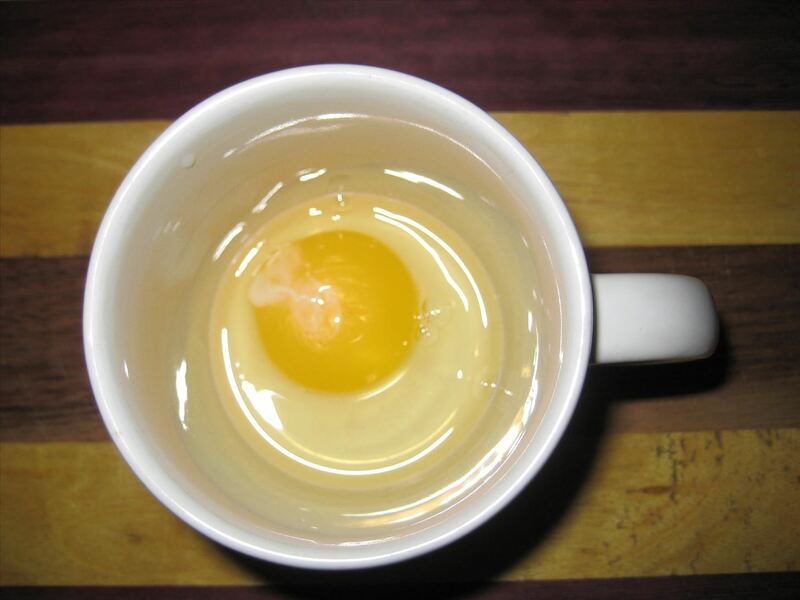 A Chowhound user figured out a way to hardboil an egg in a coffee mug using only hot water—no nuking of the egg itself involved—so there is also that option. If you'd like even more egg-in-a-mug recipes, check out this page at Epicurious, where they teach you how to make scrambled eggs, a frittata, an omelet, shakshuka (eggs in tomato sauce), and more—all mixed and cooked right in the mug. 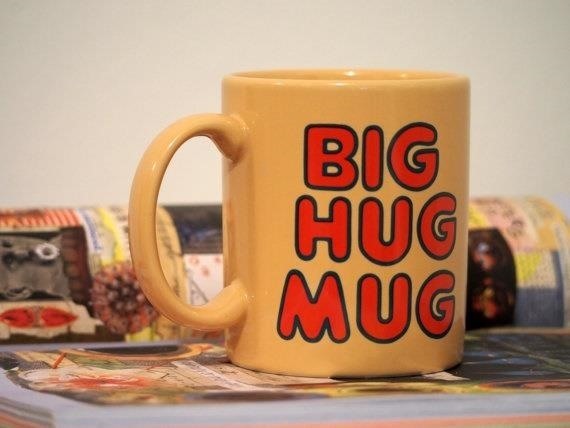 What's your favorite way to use a coffee mug (other than for coffee)?